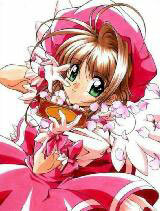 You are going to Watch Cardcaptor Sakura Episode 7 English dubbed online free episodes with HQ / high quality. Stream Anime Cardcaptor Sakura Episode 7 Online English dub Sakura’s First Attempt as a Thief, At an art museum trip, Sakura witnesses a boy attempting to change a painting. During the commotion, she couldn’t hear anything and Kero is sure that it was caused by a Clow Card, The Silent. Sakura sneaks out of the house at night and into the museum where they meet the boy from earlier also sneaking in. The boy, Yūki Tachibana, explains the painting is by his deceased father and his mission to restore the painting which a Clow Card has covered up. Every time Sakura attempts to capture the card, it transports the group outside. Using The Shadow, Sakura is able to silently capture Silent from a distance restoring the painting and discovering Yūki is actually a girl. A stranger, dressed in an odd costume, appears at the end of the episode and quietly mutters that he senses a Clow Card.